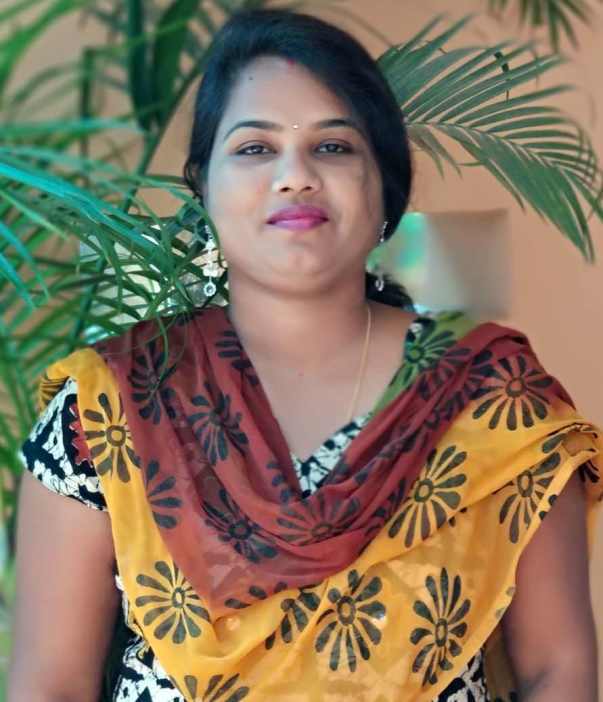 Sandhya Rani Baliarsingha is a 39yr old home maker, was happy in her small household at bbsr, until cancer stepped in and created havoc in her life. She consulted her gynecologist after heavy bleeding during her menstrual cycle, where the doc suspected a small tumor in her uterus. Then doc suggested to run a few blood tests. The blood results shook the family. 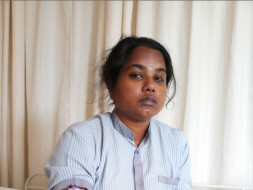 Sandhya was diagnosed with AML which is one type of blood cancer where the body fails to produce WBC, which eventually affects other organ of the body.After studying Sandhya’s report, docs are suggesting that bone marrow transplantation is the only way to increase the platelets and WBC count in her blood and could save her life. Sandhya’s family who desperately want her to come back to life, took her to Tata medical center, Kolkata for her treatment. 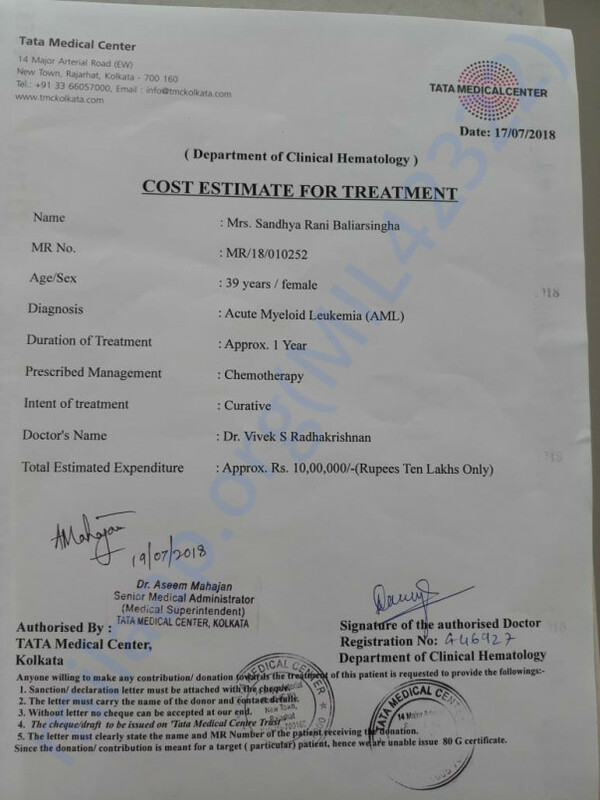 Sandhya has completed her first cycle of chemo therapy, the side effects of which were not very good, but doc could see some improvements in WBC count which is a good sign as her body is responding to the treatment. Doctors have given an estimate of 40lakhs rs for continuing her treatment and for her bone marrow transplantation. Sandhya’s family are trying very hard to collect money for her treatment. Until now they have spent close to 10lakhs, out of which 70,000 is from donations and the rest is a loan from friends and family. But now friends and relatives are backing out on providing any more help. Sandhya can be out of danger if she can get her next phase of treatment. 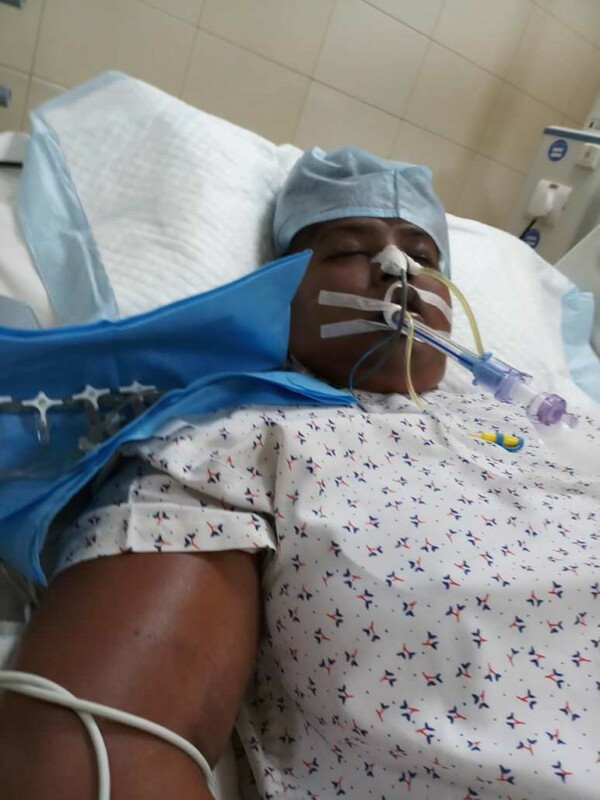 She is presently in ICU and docs have kept her in ventilator. 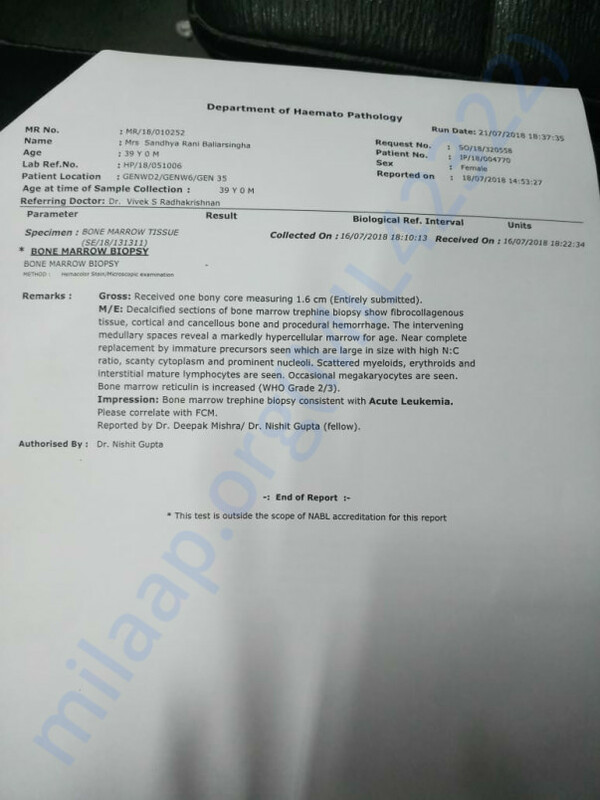 As a side effect of high antibiotics and all these chemo cycles, she also has intestine infections and is also suffering from jaundice. 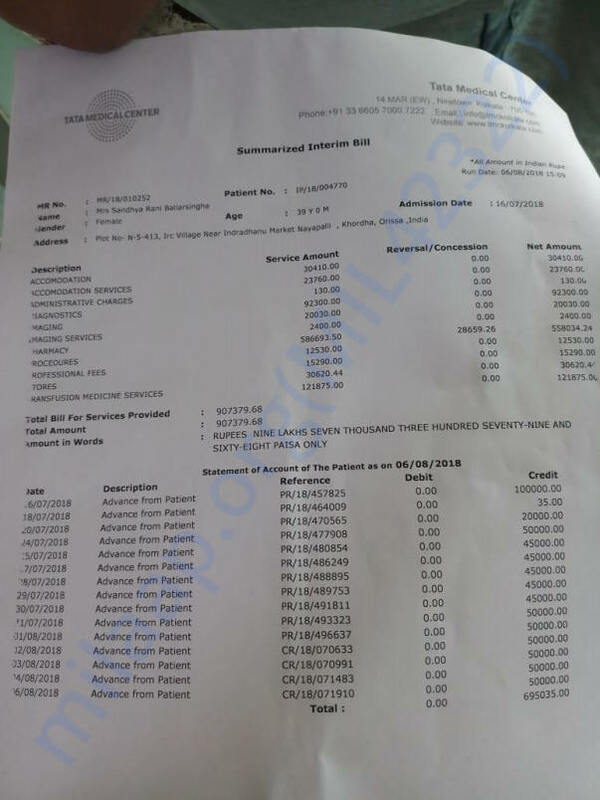 Sandhya’s family need around 60,000rs per day to continue her treatment. Her husband works for a collection company where he gets a salary of 5000rs per month. In this salary it was already difficult for him to meet the bear expenses for a family of three. When he sees his wife in this condition, he is losing all his hope to bring back Sandhya to life, back to her daughter. Sandhya’s 11yr old daughter is not allowed to go near her mom due to medical issues. She has her mom’s photograph and she has understood that her mom is ill and can’t be with her. 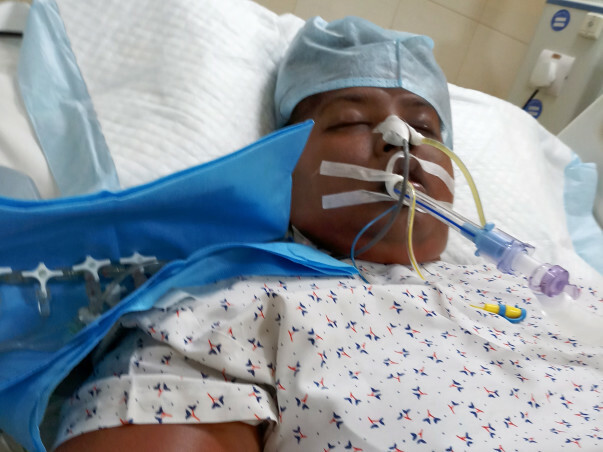 Sandhya’s family desperately needs help to continue her treatment, and if she recovers from this phase, doctors could perform a bone marrow transplantation on her. 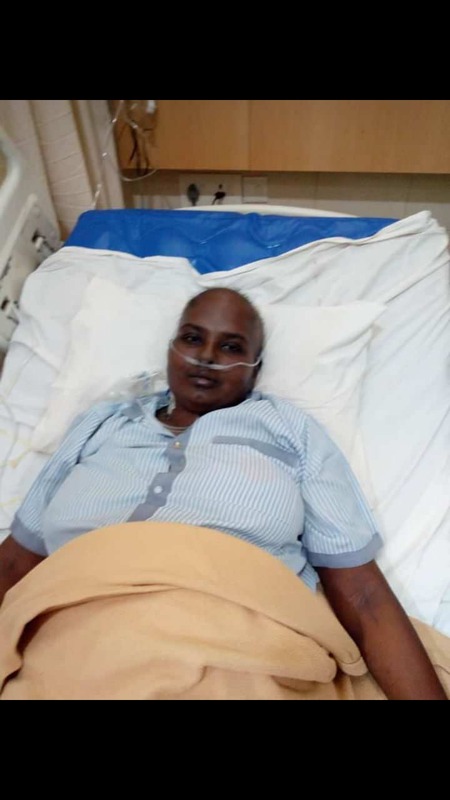 Please help Sandhya for getting a bone marrow transplant and then hopefully she can go back to her daughter, and they can be a happy family once again. Sandhya has been transferred to ward now. but her wbc counts are not good and doctors want to perform Bone Marrow Transplant on her. but before that she has to under go one more chemo. Sandhya needs close to 90,000, to continue her treatment and chemotherapy before doctors do BMT on her.